Holy Moly! 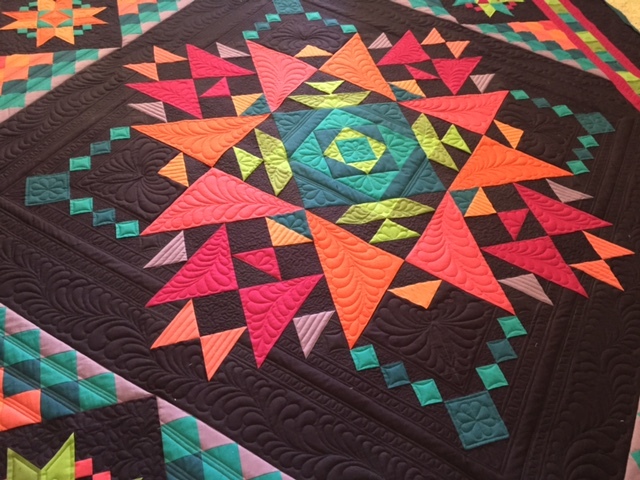 I am the Aurifil August Designer of the Month! Thank you, Pat Sloan! You make me look good! 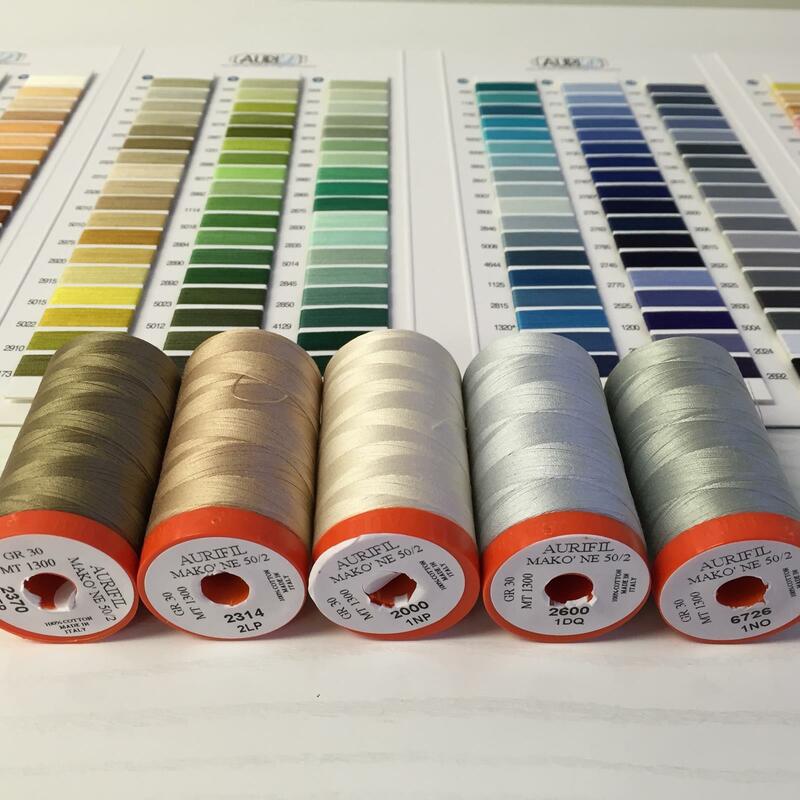 Please don't forget, dear readers, to pop on over to Pat's site to enter the Aurifil thread giveaway. Also, if you like “Grow Up” my FREE mini quilt project, you can purchase a kit with the fabrics as well as an Aurifil Thread Kit to go with it. Thanks and have a great August! Let’s get to know Nancy! 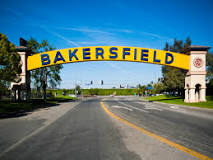 I was born and raised in Bakersfield, CA, and still live there, even though as a teen I vowed that I was going to move away as soon as I could. Actually, Bakersfield has been a great place to live, work, and raise a family. Bakersfield is the home of many fantastic Basque restaurants and “the Bakersfield Sound” a gritty, twangy, honky-tonk country music style made popular by Buck Owens and Merle Haggard. In the 1990s Buck Owens rescued the Bakersfield Arch and had it renovated and moved to a location near his Crystal Palace, a restaurant, museum, and concert venue off Buck Owens Boulevard. NASCAR driver, Kevin Harvick hails from Bakersfield—in fact, he was one of my junior high students back in the day! 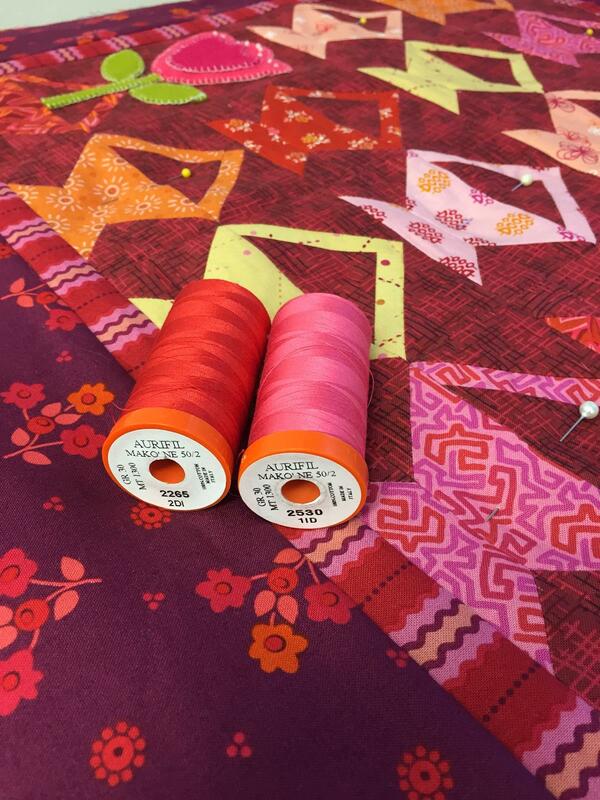 When was your FIRST quilt sighting? My first quilt sighting was a quilt I slept under for years. It was very simple. 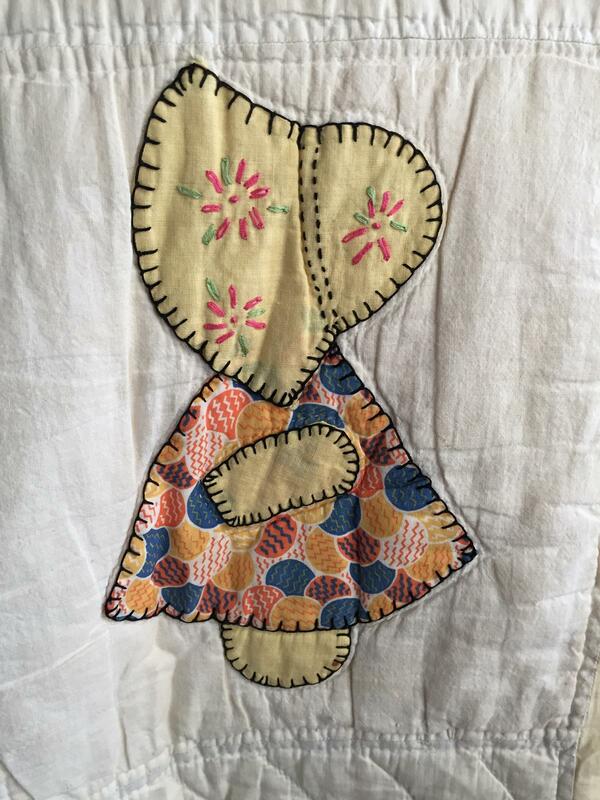 Muslin blocks with embroidered Sunbonnet Sues were set alternately with solid pastel squares. 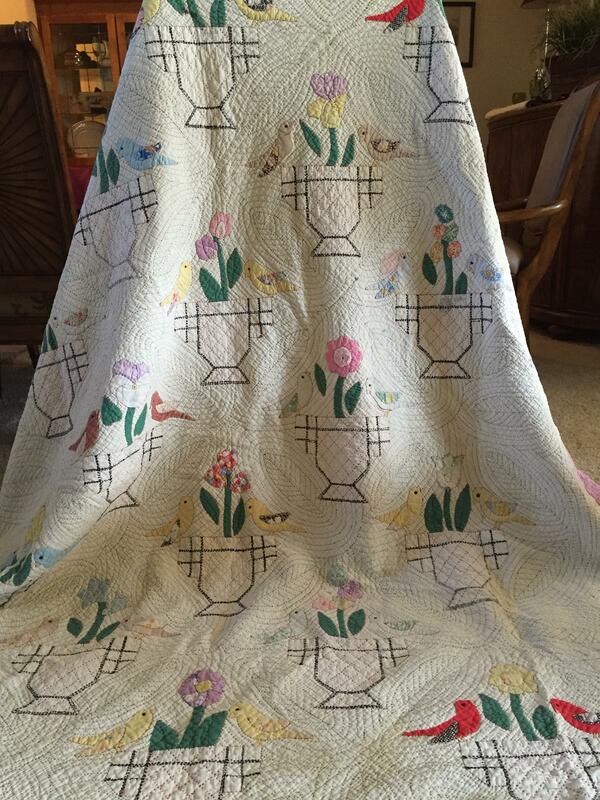 It was hand quilted with cables and a cross-hatch pattern. Over time it became very soiled and worn—signs of love and use over many years. My maternal great-grandmother, who I never knew, was the quilter in the family. 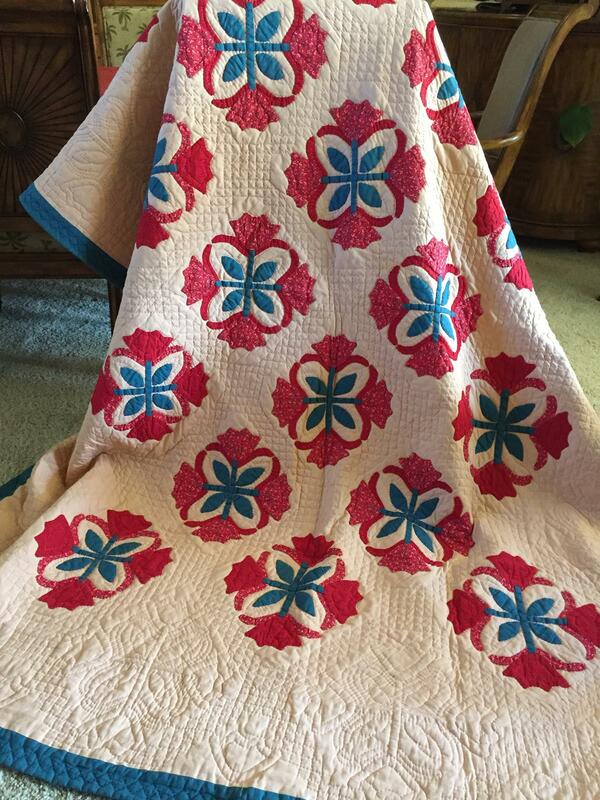 Most of the quilts she made were embroidered or included embroidery and appear to be made from kits. 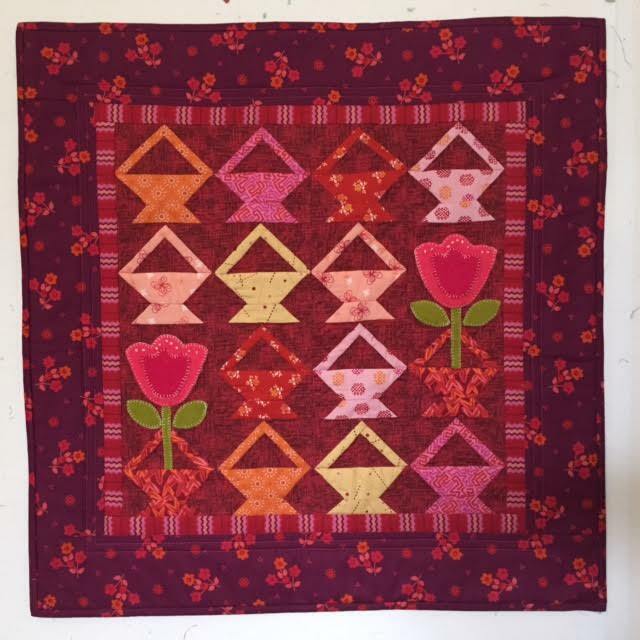 One of the quilts I have of hers looks like it was made from a Nancy Page design. However, Nanny’s version is unusual because it looks like she took some kind of a permanent marker and outlined the baskets. She also quilted it extensively in different colors of thread. What inspired me to start quilting was an article in a magazine that I purchased while checking out at the grocery store. I read it and thought “I can do that!” Up to that point I had done a lot of garment sewing and just figured if I could set in a sleeve or line a jacket, I should be able to make a quilt. That first quilt had a lot of 5/8” seams! Also, I used an old sheet as the backing. Needless to say, hand quilting it was a bear, and my stitches are huge! 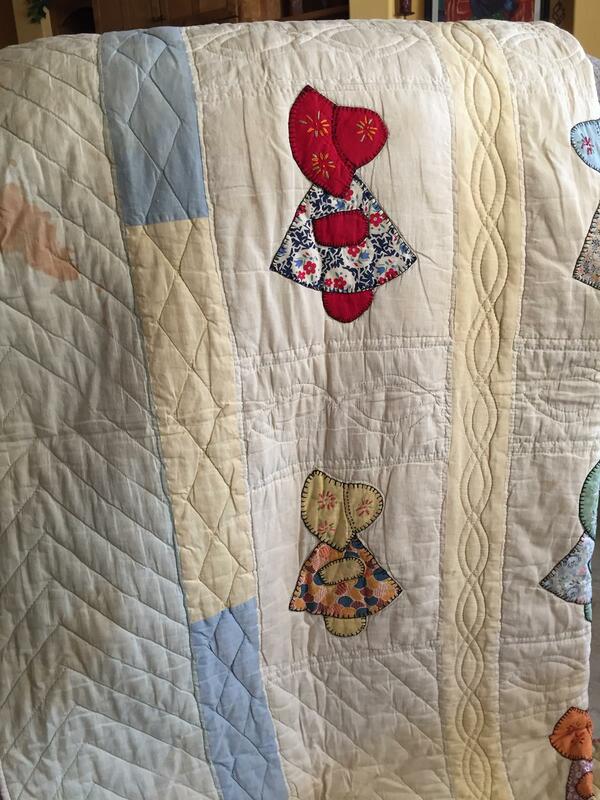 There are so, so many things wrong with that quilt—but ignorance was bliss. Somewhere along the way I checked out a book from the library on how to quilt. What an epiphany! 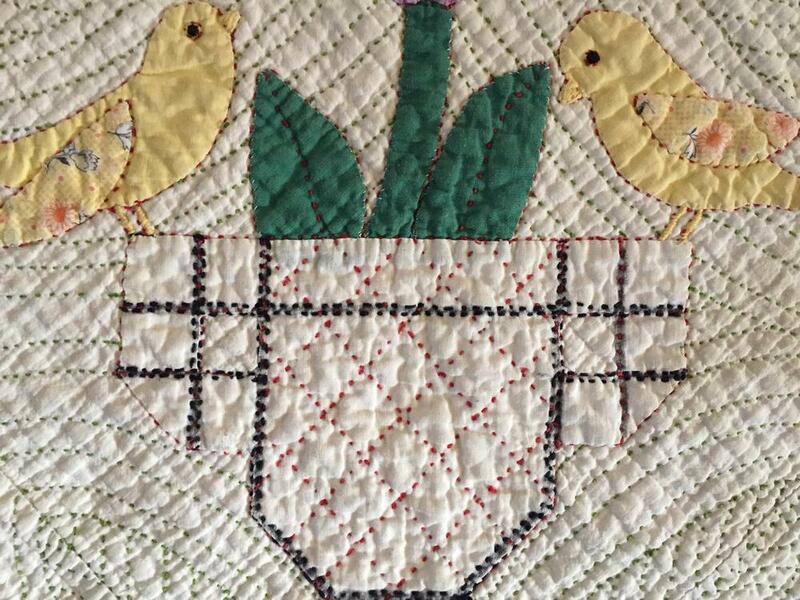 I only quilted a bit here and there for several years because I taught junior high and high school English for over 20 years and raised a family. Then there came a point where I became OBSESSED! Color is probably the number one thing that attracts my attention at a quilt show. But when I say “color”, I don’t mean in your face color. Some stunning quilts are subtle in their use of color. Others have interesting color combinations. 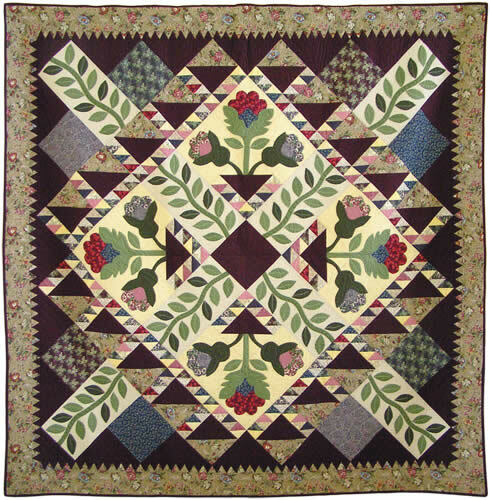 Along with color comes texture—the texture of the prints, the texture created by the piecing, the texture added by the quilting. That’s why shows have the white-glove patrol—because the texture makes you want to touch the quilt. My husband laughs at me because when I am in the process of selecting fabric I can’t help but pet it. He’s right! I do pet it. Why do I do that? Do other quilters do that, too? Did you have a career prior to making art, and what was it? I guess you could say I have two studios: a work studio and a home studio. 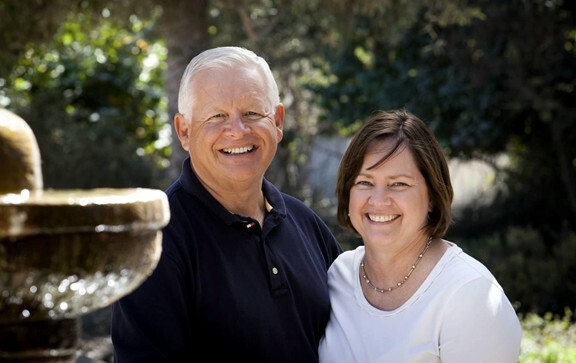 Three years ago when my husband retired and my business was taking off, he suggested I move the business out of our home. So now I rent a 1400 square foot space in a little light industrial park. It’s about 15 min from my home. The space has an office where I have my business workspace with my “command center”, a huge desk with a computer and work surface that never seems devoid of paper, fabric swatches, snacks, files, etc. There’s also a little shipping station, two laser printers, as well as a sewing machine and ironing board. Unfortunately the sewing machine in my office seems to mainly get used to sew on bindings. 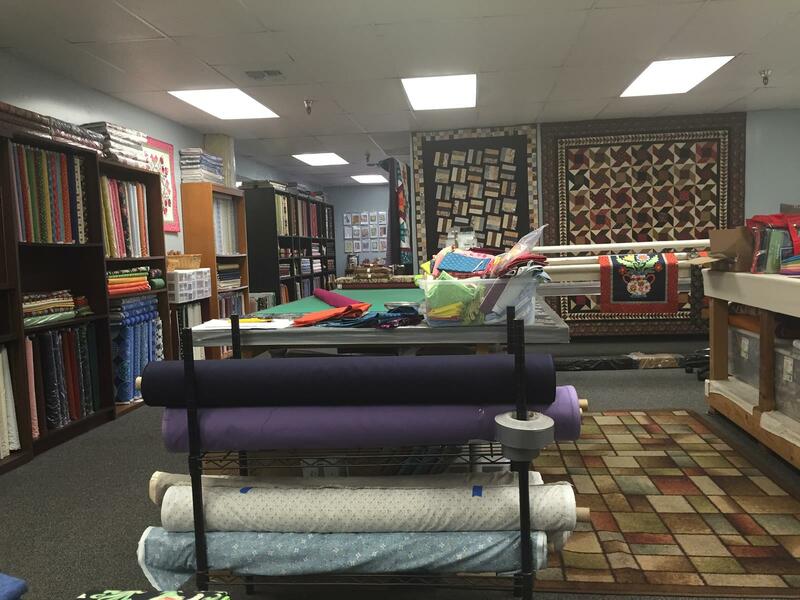 The main part of the studio houses fabric, two large worktables, a longarm, shelving, storage, etc. 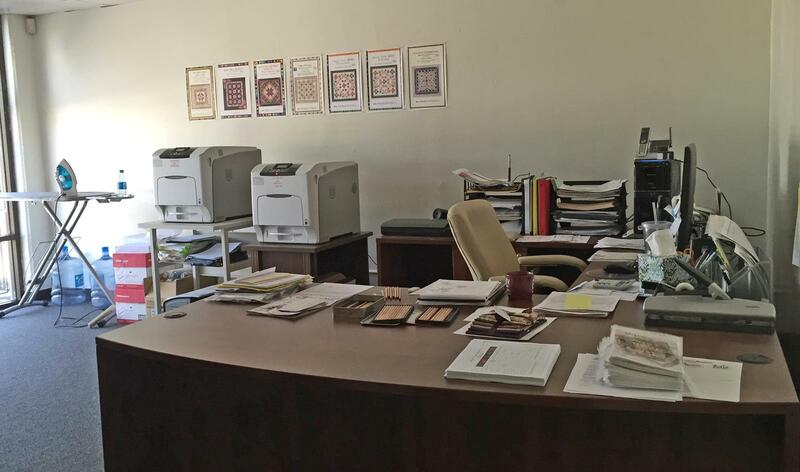 This is where we assemble patterns and put together kits and fat quarter bundles. Customers can come in and shop and see me in action! My home studio is not much to speak of. When I rented the work studio all of the good tables, bookcases, etc. went there. I keep saying I am going to take everything out of my home studio and start over and make it a DREAM STUDIO. Unfortunately, so far that’s just a lot of talk. 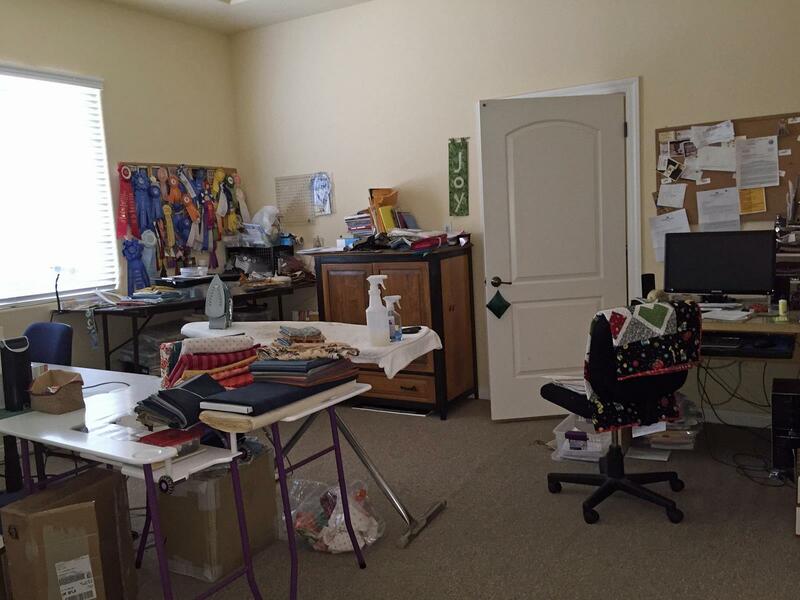 Interestingly, my home studio is the place where I do most of my sewing. I guess it’s because I have never viewed sewing as work. So there I am at home with my travel machine and folding table. Do you have a GREAT storage, organization, or label making tip? I am an organization disaster, so I have no business offering anyone a tip. Oh wait—here’s my tip. Find someone who is good at it. I have a wonderful super-organizer friend who has my work studio dialed in. I am an amazing packer, though. 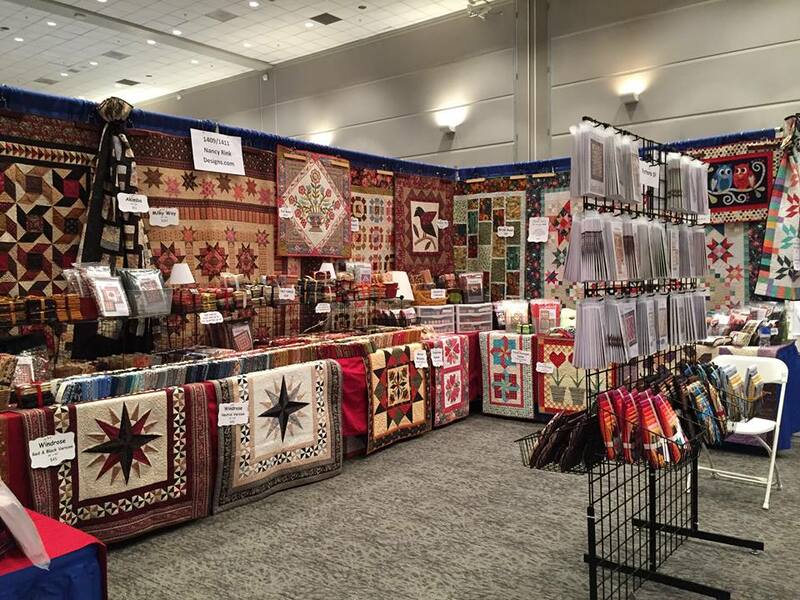 My husband Oliver and I vend at about 5-6 quilt shows a year. Believe it or not, we get everything (with the exception of tables) for our booth in his pickup truck! This is a trick question, right? For piecing I use a lot of 50 wt 2314, 2370 and 2600. But then Aurifil added some new colors and I’ve discovered 6726 blends wonderfully for piecing. I also primarily use 50 wt Aurifil for on the longarm. It is strong enough to withstand the tension put on it by an industrial machine and has just enough sheen to complement a quilt rather than overwhelm it. Pale Yellow 2026 and Light Beige 2000 are my “go to” colors for many projects. What else is new with Nancy? 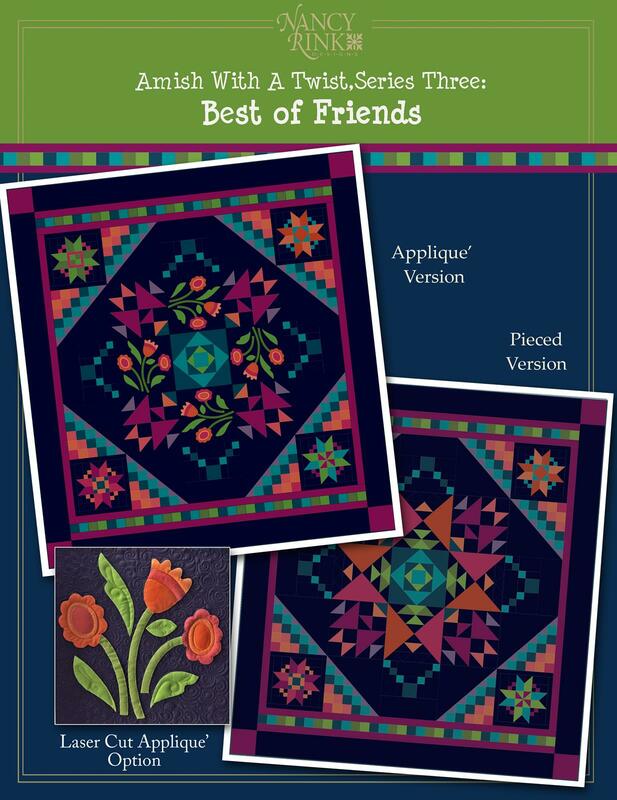 Amish With a Twist Series 3: Best of Friends should be hitting quilt shops soon. 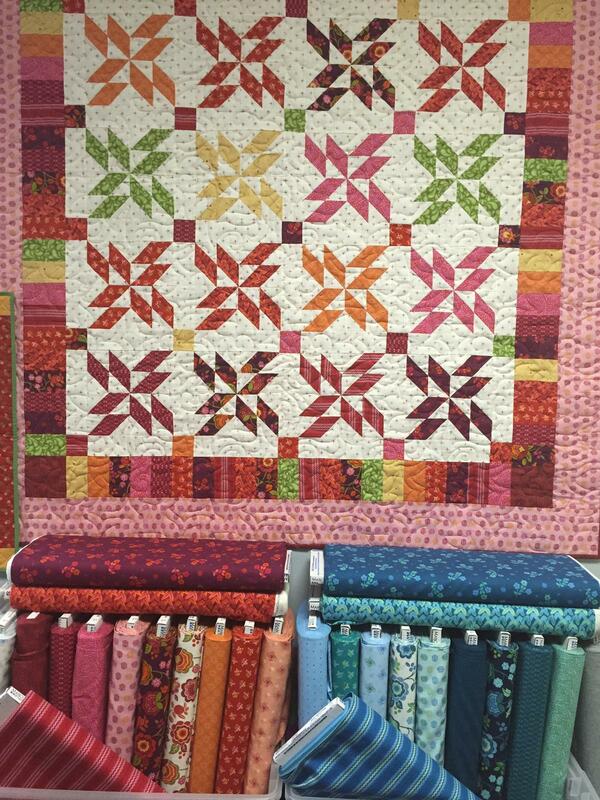 It’s a 10-part block-of-the-month program featuring mostly new Marcus Fabrics Centennial solids. I also have a new fabric collection called Intrigue which is in shops now. It’s a mix-and-match contemporary collection in two colorways. What about your Month Inspired your Quilt Block? “Grow Up” features a basket block, one of my favorite kind of blocks. I designed this block especially for this project because I wanted a basket block that did not have to be set on-point as so many do. 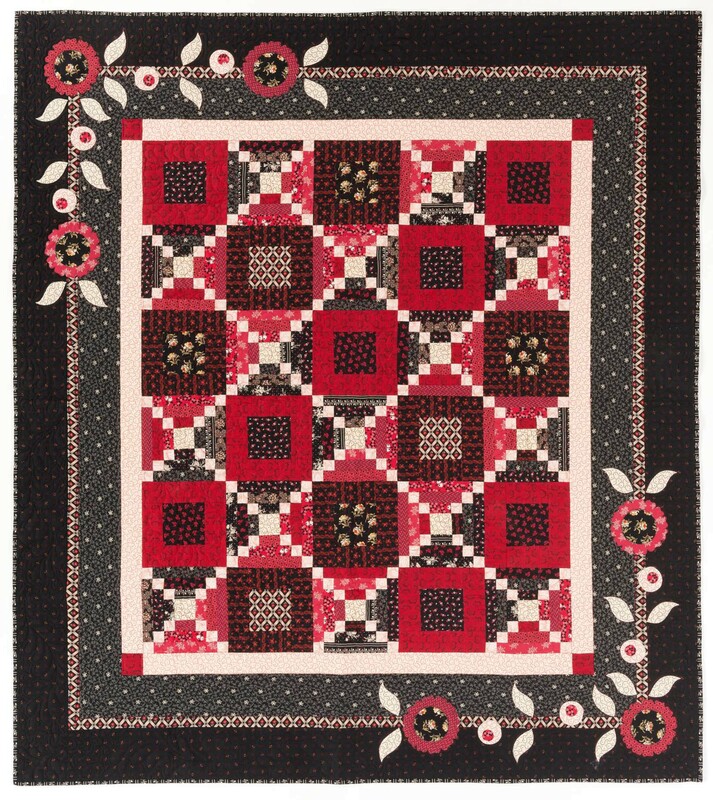 The quilt also features fabrics from the red colorway of my Intrigue fabric collection. Finally, because I’ve been tinkering around with some new colors of Marcus wool, I added just a touch of wool appliqué and blanket stitched around the shapes in Aurifil’s Lana wool thread—it’s delicious! Are you a Dog or Cat person? 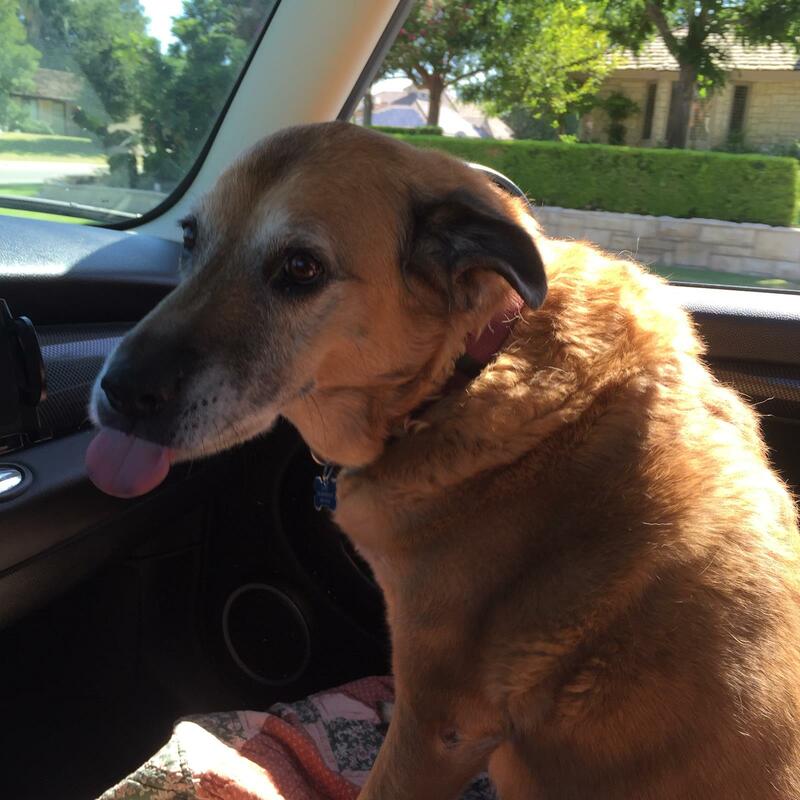 Dog – Daisy is our beloved rescue shepherd-mix. The Color you have always LOVED…..RED! 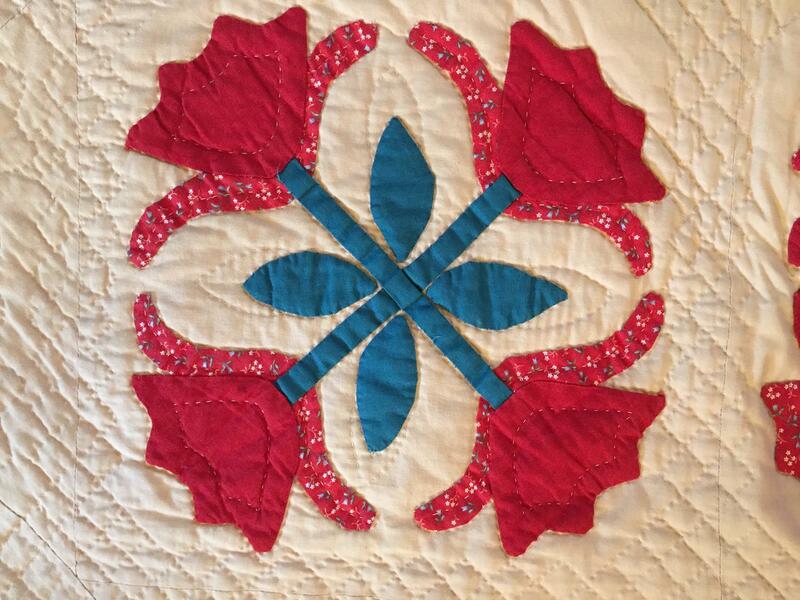 Over at my page I share my tip for trimming… Come over to my page and see my full quilt too! Are you on Facebook? I have a fantastic quilt group with the most incredible show and tell going on! You should see it! JOIN me HERE… I’d love to meet you! Nancy’s Newest Needs a Name!